Police have started an investigation after dozens of parents claimed their children were abused at a kindergarten in Beijing, The Beijing News reported today. 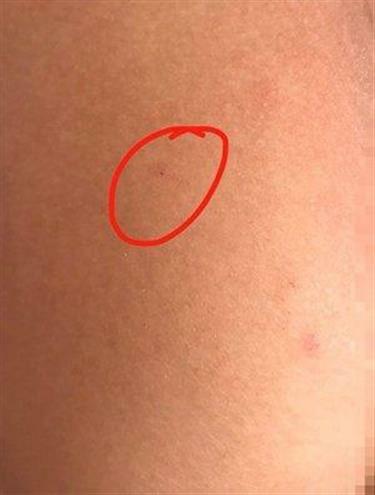 Photos provided by parents show suspected needle marks on children's bodies. 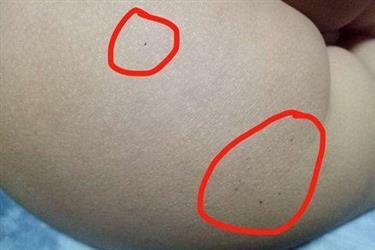 Parents suspected their children were stuck with needles after they found needle marks on their bodies, and that they were given some unknown white pills and sexually abused in a class at an RYB Kindergarten in Guanzhuang area of Chaoyang District. This is the latest kindergarten child abuse scandal after a day-care for online travel agency Ctrip’s employees’ children in Shanghai were found to be the victims of widespread and long-term mistreatment. All the parents who made complaints were from the same class. One child claimed they were given white pills before nap time everyday. On top of that, a mother told Btime.com, a Beijing-based news portal, that her child claimed they were molested. Cui Lijun, an official with RYB Education, the operator of the kindergarten, told Btime.com that they were cooperating with the investigation and that so far there hasn’t been a conclusion. A police officer said they have taken the surveillance videos from the kindergarten — which is still operating — and started an investigation. RYB Education is a listed company on the NYSE. It has chain kindergartens across the country and 28 outlets in Beijing alone, according to information on its website.